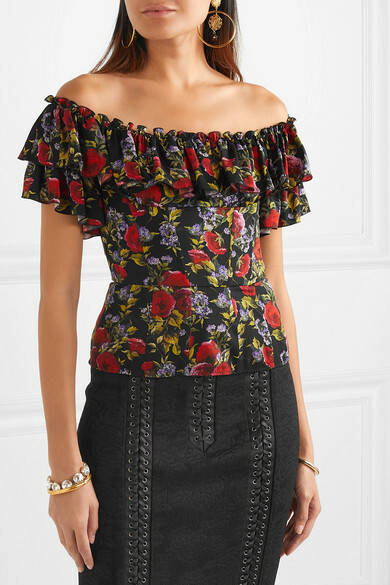 Printed with Dolce & Gabbana's signature romantic blooms, this top is made from floaty silk-blend chiffon in a vintage-inspired bustier silhouette. 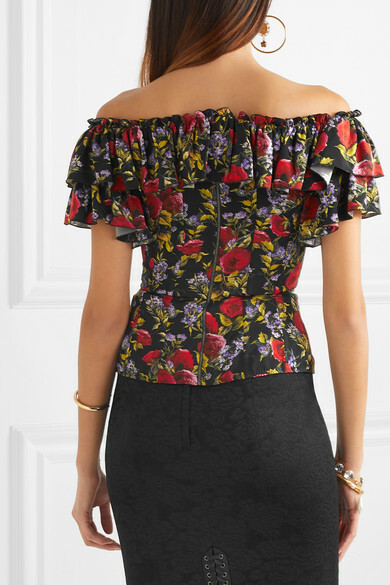 It's fully lined for support with ruffles decorating the off-the-shoulder neckline. 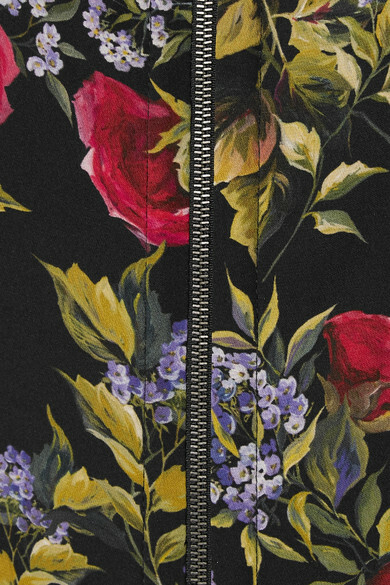 Wear yours with a pencil skirt and a slick of red lipstick. 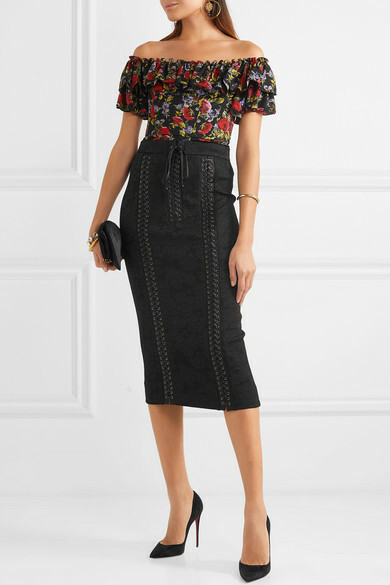 Shown here with: Dolce & Gabbana Skirt, Bienen-Davis Shoulder bag, Christian Louboutin Pumps, Dolce & Gabbana Earrings.